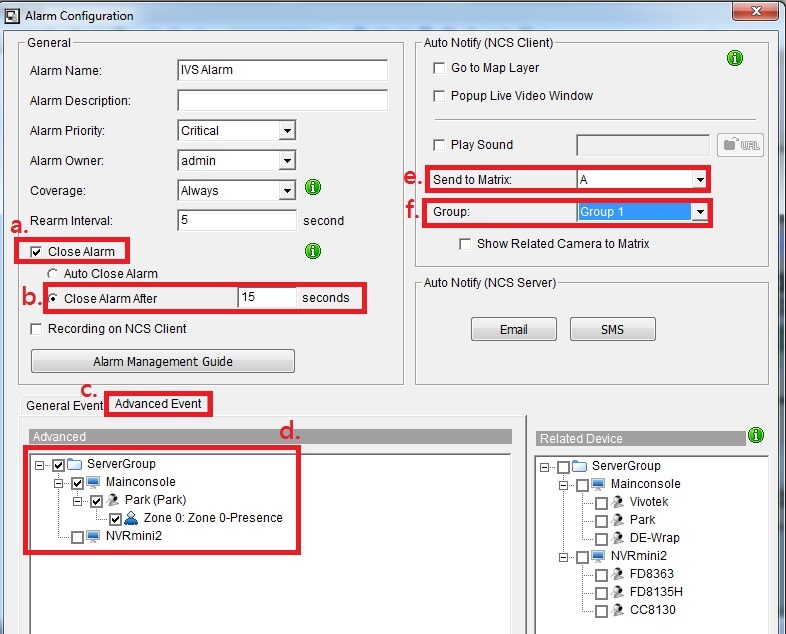 How can I monitor three specific important areas all at the time and other areas by rotation with a few seconds? 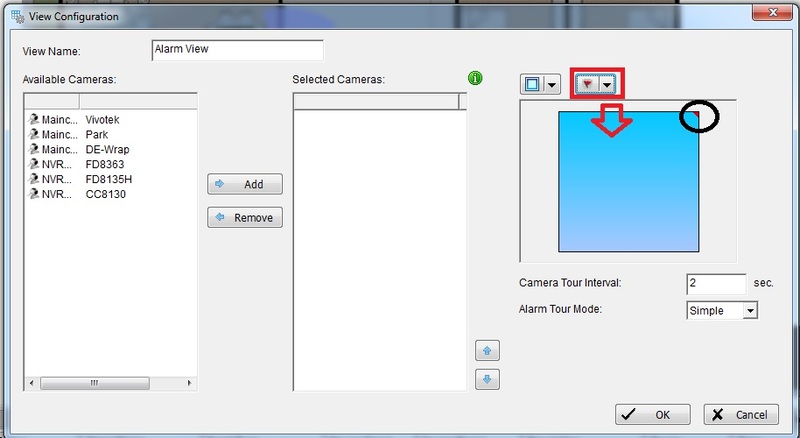 Also, how can I get instant notification with the live view of problem one when alarms (event) occur? One view with 2x2 layout. In 2x2 layout, 3ch (grids) for specific camera displaying in each grid and one grid for all 16ch cameras rotation. As above scenario, please kindly refer to below steps. Go to View Group List toolbar. 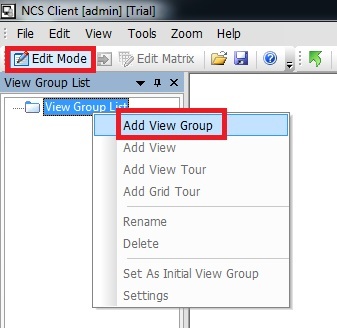 Right click, and select "Add View Group". 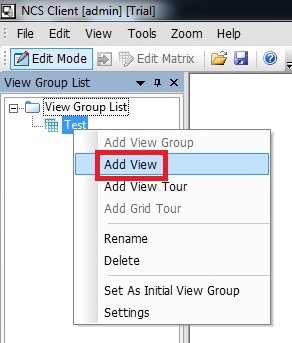 Right click on View Group you just added, and select "Add View". 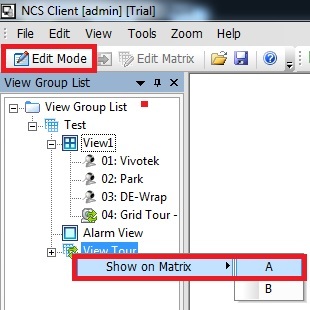 Input View name, select 2x2 display layout, and then click OK button to save this View. 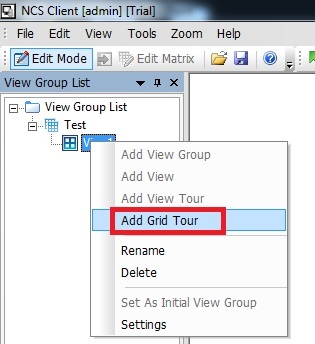 Right click on the View you just created, and select "Grid Tour". 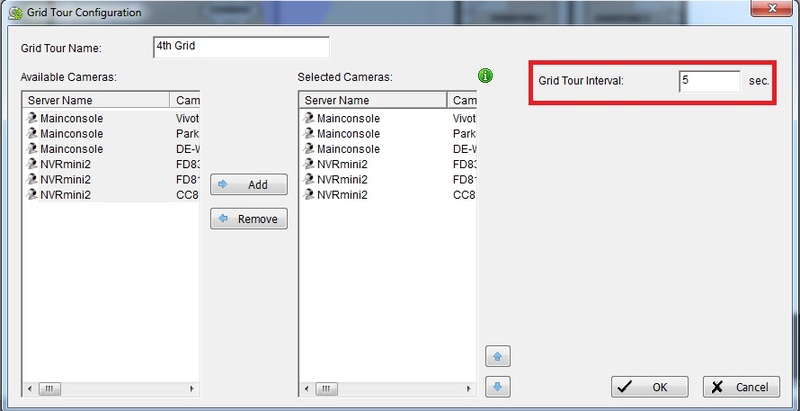 Assign 16 IP Cameras to this Grid Tour, and set Grid Tour Interval time. 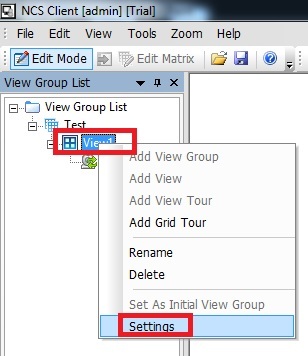 Right click on the view, and select settings. 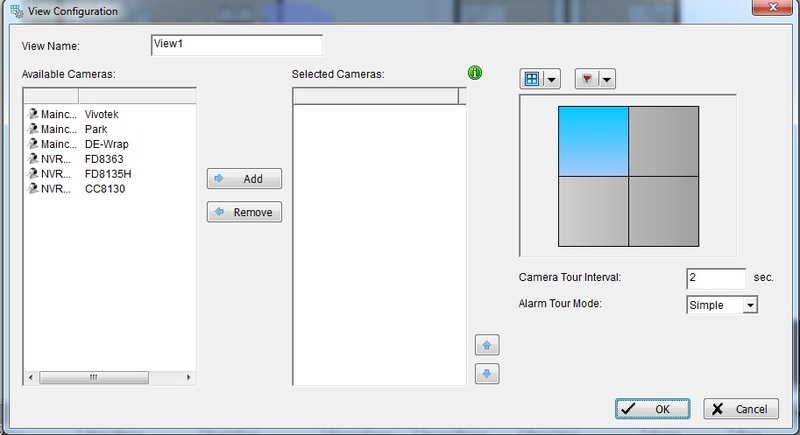 Assign 3 cameras into this view and you may adjust the camera position by up and down arrow. (c) Click OK button to save this view. 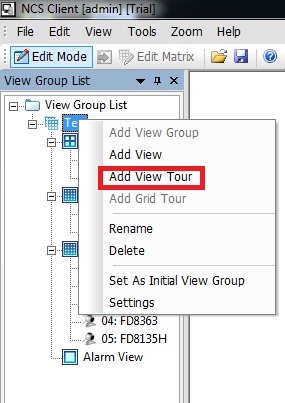 Right click on your View Group, and select "Add View Tour". 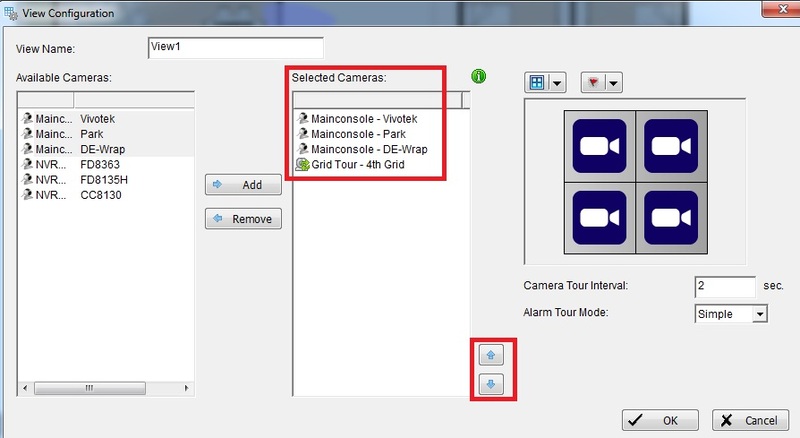 Setting in the view tour configuration. 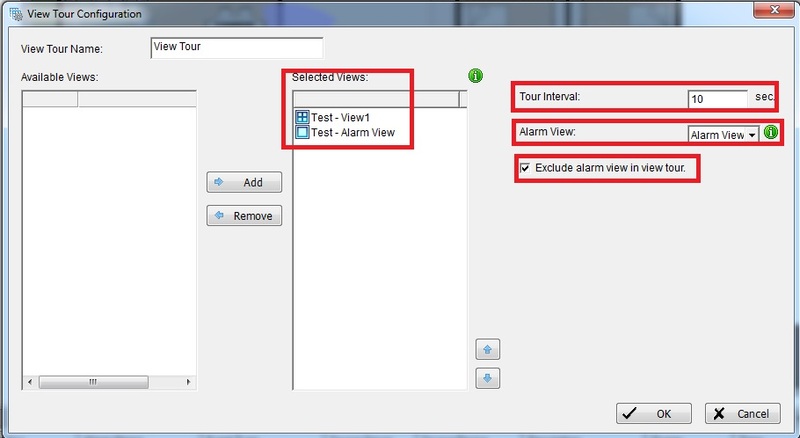 (e) Enable "Exclude alarm view in view tour"
Disable "Edit Mode", and select the view tour you just created, and right click assign to Matrix. Why CPU loading is reaching 100%?